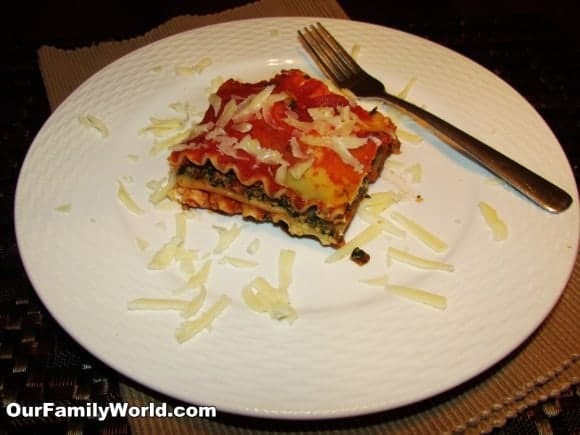 Spinach Lasagna is one of the best comfort foods and just about everyone, including picky kids, loves to eat this dish. There are several versions of this healthy recipe and they range from authentic to substituted ingredients for those with food allergies or who follow a special diet. Many people believe that lasagna came from Italy, but there are some who say that it actually originated in Great Britain. The reasoning behind this debate is because the very first recipe for the dish was discovered in a British cookbook. What we do know for sure is that the word “lasagna” is Greek. In a pot, cook lasagna noodles according to the directions on the package. Drain. In a casserole dish, place some of the noodles on the bottom, then add the spinach, 1 cup of Mozzarella cheese, and 1/8 cup Parmesan cheese. Put 3 more lasagna noodles on top and then add ¼ cup of sauce. Cover the lasagna with the remaining noodles and sauce. Sprinkle the rest of the Parmesan and Mozzarella cheeses on top. Place lid on the casserole dish and bake for 35 to 40 minutes. The spinach is a great way to turn any dish into a healthy recipe. The green vegetable has cancer fighting properties and is great for your immune system. Studies have also proven that spinach lowers blood pressure and promotes weight loss. By making this Spinach Lasagna recipe, you can reduce the risk of cataracts and heart disease. This leafy vegetable should be in every diabetics diet because it helps regulate your blood sugar. The best part of putting spinach in your healthy recipes is that one cup of spinach has only 7 calories, making it the perfect ingredient for those who are watching their weight. One of the great things about Spinach Lasagna is how versatile it is. If you are gluten intolerant or have Celiac Disease, you can replace the noodles with either zucchini slices or cabbage leaves. You can also add spices and herbs to Spinach Lasgna make this healthy recipe spicy if you like. 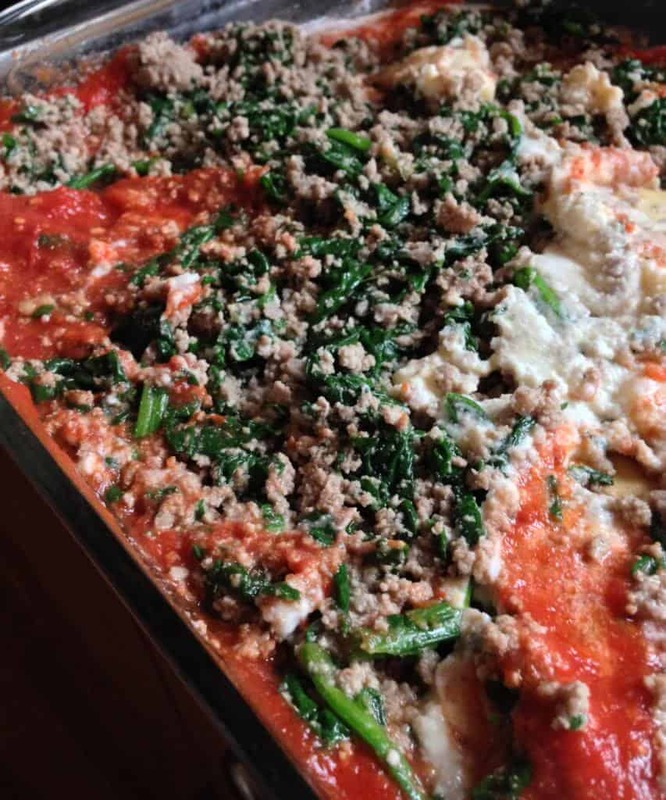 Love this Spinach Lasagna recipe? Check out our other amazing spinach recipes, like Spinach Beef Balls and Spinach Quiche! What is your favorite version of Spinach Lasagna? Spinach lasagna is my favorite!!! I add mushrooms to mine, but not everyone in my family likes that, hehe. this is a great idea for our meat free lenten dinners, thanks! This looks so delicious!!! YUM! Sounds good! I love lasagna.